Rheumatic diseases are the next stage of joint pain. The joints become so inflamed that the pain occasionally experienced now affects everyday life and each waking hour of vigilance becomes an unbearable experience. Modern medicine cures diseases by using drugs that can often stabilize the problem, but with a high probability of side effects. The good news is that the timeless, proven, natural methods are back. 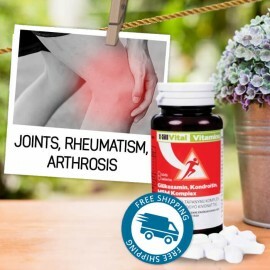 Here you will find products made of herbs and plants with proven abilities to reduce rheumatic pain and restore the body's original condition. One of the most efficient methods of alternative rheumatic joint treatment is the topical application of pain relief creams and gels. The active ingredients are absorbed directly through the skin onto the affected area. 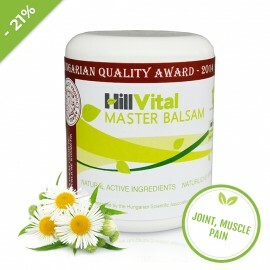 The most efficient alternative product for Rheumatism and Osteoporosis is Maximum balsam, which is made out of the most potent medicinal herbs and supplemented with active vitamins A and E.
We recommend an integrative vitamin intake to restore the effects of "wear and tear" on joints and cartilage tissues. Glucosamine, MSM and Chondroitin are reported to be the most effective supplements to reduce symptoms and sustain healthy cartilage structure. The following herbs are also helpful in providing relief from back pain: Stinging Nettle leaves and root, Garden Angelica, White Willow bark, Meadow-sweet and Rosemary. 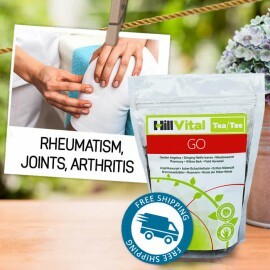 Our Tea Go contains all of these widely used herbs for treating painful joints, rheumatism and arthrosis. When treating severe and persistent illnesses, inflammation, or repeated swelling, we recommend increasing vitamin intake to promote regeneration and provide required nutrition. 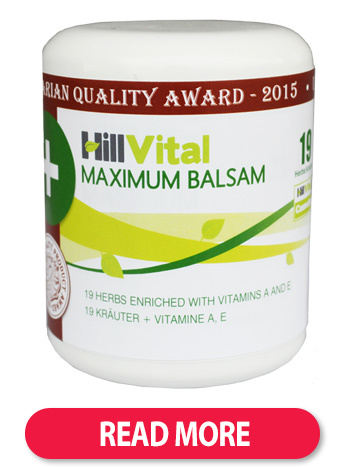 Vitago contains all the essential nutrients required. 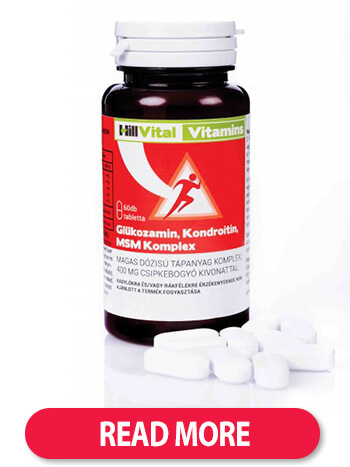 This comprehensive vitamin pack is designed to provide ultimate nutrition for cartilage and joints regeneration. 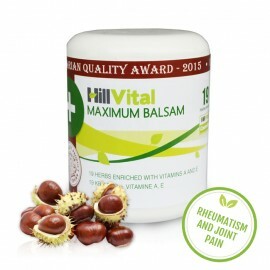 Infused with plant extracts, HillVital products for rheumatism help tackle pain, swelling, inflammation, and stiffness all the while improving joint health, mobility, flexibility, and strength. 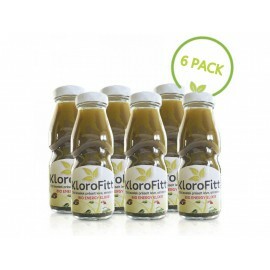 Chlorophyll drink for liver and kidney cleansing: KloroFitt uniquely cleanses and promotes ..